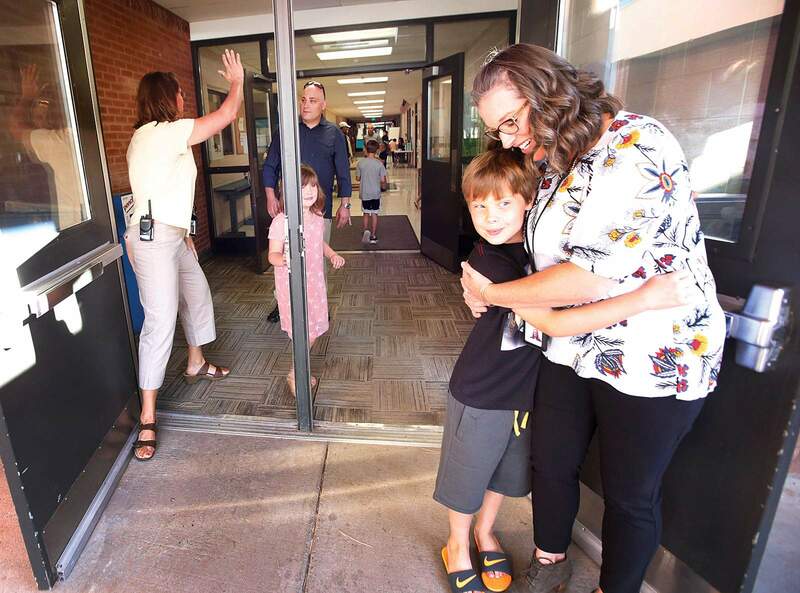 Alison Layman, right, assistant principal at Animas Valley Elementary School, hugs Myles Thornbladh, 8, as Principal Michol Brammer high-fives his dad, Justin Thornbladh, on Friday when students had the opportunity to meet teachers and staff members. Myles’ sister, Elle, 5, center, also came along. The first day of school for Durango School District 9-R students is Monday. Myles and Elle are also the children of Bonnie Thornbladh. 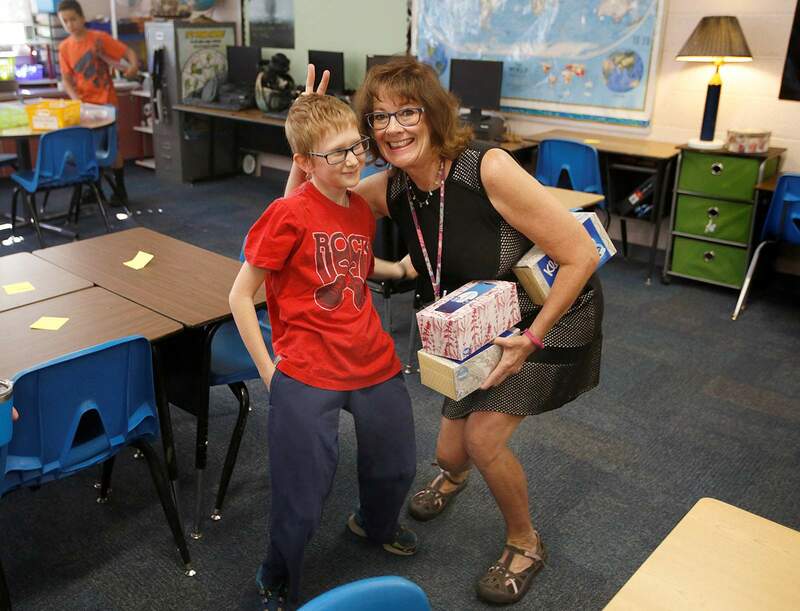 Shelli Tucker, a first-grade teacher at Animas Valley Elementary School, has a little fun with incoming student Dominic Keil, 11, on Friday morning. Students were able to visit with teachers and staff members Friday before the first day of school Monday. Dominic is the son of Dannielle and Nathan Keil.